The nights are longer and the nights are most definitely getting colder. The fans we needed to keep us cool in the summer are now nowhere to be seen. And I don’t know about you, but even tucked firmly under my duvet – I’m still cold. 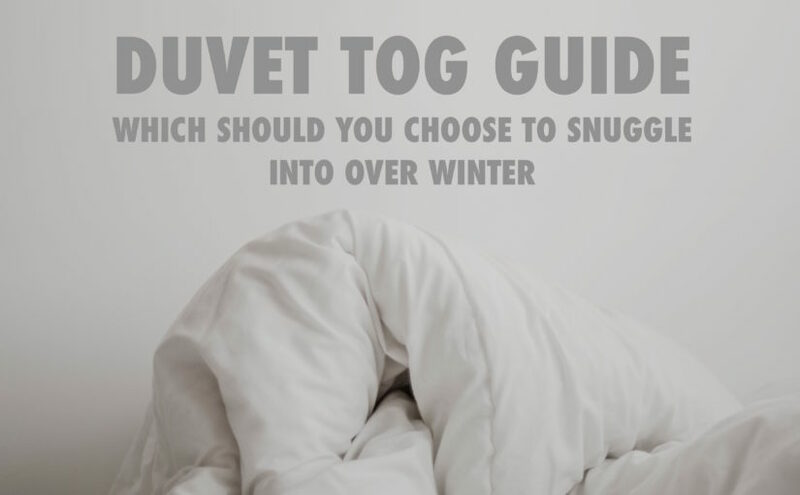 So it got me thinking about whether my duvet tog was the right duvet tog for these icy winter months. And I realised how little I actually know about what duvet tog really means. So I thought I would share my findings with you. In the hopes that we will no longer have to feel cold in bed over winter. What is the right duvet tog for winter? So now we know what tog we should be using, what actually are they? The tog refers to the level of thermal insulation. So the lower the tog, the less insulation, the higher the tog the more insulated the duvet. So it makes sense really, the higher the tog, the warmer you will be. Where am I suppose to store my summer duvet throughout the winter? Well that is a pretty good question to ask us, the people who are always trying to find storage solutions everywhere! We make Blanket Boxes, in all shapes and sizes. They traditionally sit at the end of the bed. But if you don’t have space for them there, then underneath a window is also a pretty good location for them. They are big enough to store a second duvet, but also provide a nice seating space for putting on your shoes. Don’t even have enough space for a blanket box? Don’t panic, I don’t either! Then our Storage Beds would be a pretty good option to look into. Not only storage for duvets, they fit all sorts, including suitcases.